Campbell & Sons are here to provide professional help and experience at one of life’s most challenging times. 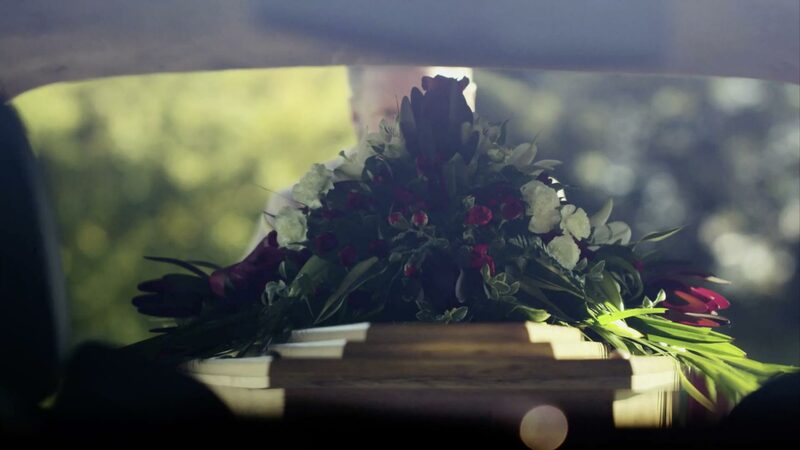 We’re proud to operate one of Dunedin’s finest funeral venues, but will assist you organising a service anywhere you wish. STEVENS, Alan William (Stevie) - Peacefully at Leslie Groves Hospital on Thursday March 21, 2019, surrounded by his loving family; aged 85 years. Much loved husband of June for the last 61 years, loved father and father-in-law of Ross and Sandy, Wayne and Cindy, Barry and Tina, adored grandad of Lisa and Van, and Ryan; Kallan, Latham, Mason, Ashlea, and Drew; Abby, and Georgia, and Poppa Alan of Aston. Dearly loved brother of Anne and the late Les Stevens, Ian and Jean Stevens. Loved brother-in-law of Noeline and the late Arch Burn; Ray and Elva Robinson, and the late Gwenda, and a loved Uncle of all his nieces and nephews. Alan’s family wish to thank the staff of Leslie Groves for their loving care of him over the last 8 months. “ Once a Southern Man” - A service for Alan will be held in the Southern Rugby Football Clubrooms, Bathgate Park, 26 Helena Street, Dunedin at 2pm on Tueday March 26, followed by private cremation. In Stevie’s memory, donations to St John Ambulance and Alzheimer’s Otago would be appreciated and may be left at the service - Messages to 10A Thames Street, Mosgiel 9024. ROBERTS, Monica Alexandra - On March 4, 2019, peacefully in the loving care at Yvette Williams Retirement Home; in her 91st year. Dearly loved wife of the late Taff, dear little mum of Bronwyn and John Machin, Glyn and Kerri, loved and treasured Nana to her 7 grandchildren and a beloved old Nana to her 6 great-grandchildren. Monica’s family would like to thank everyone involved in her care. - A celebration of Monica’s life will be held in Campbell and Sons Chapel 95 Gordon Road Mosgiel at 11am, on Saturday, March 16, followed by private cremation. - Messages to the Roberts Family c/- PO Box 183, Mosgiel 9053. Paterson, Suzanne Patricia (Nee) Bolton Peacefully at Otago Community Hospice; aged 70 years. On Saturday, March 30, surrounded by her loving family. Much loved wife of Jeff for the last 45 years, dearly loved Mum of Nathan, Alisha and Michael, adored Nan and best buddy of Kalis. A service to celebrate the life of Suzanne will be held in Campbell and Sons Chapel, 95 Gordon road, Mosgiel, on Friday, April 5, at 2pm, followed by private cremation. In lieu of flowers, donations to the Otago Community Hospice would be appreciated and may be left at the service. Messages to 20 Blanc Avenue, Walton Park, Fairfield, Dunedin 9018.